Dry Pro Foundation and Crawlspace Specialists reinforces and replaces rotten or weakened floor joists. We offer Free Floor Joist Reinforcement and Replacement Estimates and Inspections in the greater Charlotte, North Carolina and Rock Hill, South Carolina area. Floor joists and band sills play a vital role in the construction of your house. Wooden floor joists can be found running parallel to each other at regular intervals along your house on top of band sills. But because they're made of wood, if they're exposed to water and moisture, they can rot or grow mold. Popular Mechanics strongly urges that if the floor joists have rotted to a point at which they no longer provide adequate structural support, you should have them replaced. You can also reinforce or "sister" joists, meaning fastening another joist to the rotted one's side, but if you have a moisture problem in the area, this probably won't help. The sister joist will eventually rot as well, and coating the joists with a surface treatment may slow the problem, but won't solve it. Dry Pro Foundation and Crawlspace Specialists can reinforce or replace wooden floor joists and address the moisture problem as well with our CleanSpace® crawl space encapsulation system. 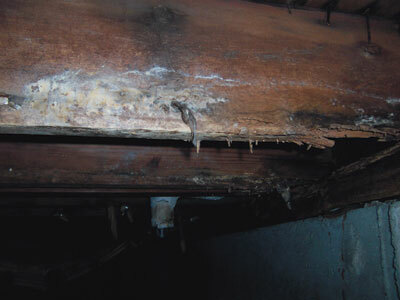 Dry-Pro can help you with your floor joist rot problems in North Carolina. We offer wood replacement on rotted floor joists and band sills to do all the work for you. Contact us today and get your free floor joist estimate! And why stop there? Get to the root of moisture problems in your home. Once you replace the rotten wood floor joists and band sills, you must find where the water came from in the first place so that it doesn't continue to rot wood in your home. If the leak problem is in your crawl space, our CleanSpace® crawl space liner can help keep your home separated from ground moisture. We can also help with basement waterproofing needs in North Carolina. Ask the Builder's Tim Carter explains that the strength of wood floor joists is a function of the thickness of the joist, its height, wood type, and the distance between supports. If your floor's support system is weak, it could feel like you're walking across a trampoline! Don't go another day with rotten wood floor joists and band sills! We can replace them in your cities like Charlotte, Concord, Kannapolis, Hickory, Gastonia, Statesville, Huntersville, Matthews, Salisbury, Monroe of North Carolina home Get your free quote today. 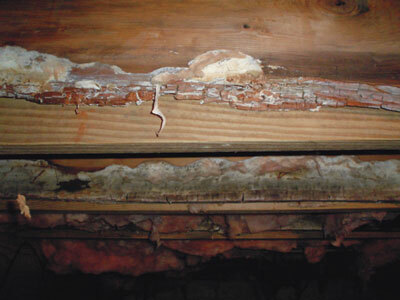 For more information about moldy wood and rotten floor joists, see these Related Pages.